After years and years and years of delays…the Hyatt Regency Bali is taking reservations starting January 1st, 2019. What’s even better? It’s currently accepting reservations, on opening day and beyond, for just 5k points a night. YES, you read that correctly. A gorgeous, beautiful, ocean front resort in one of the most desirable locations in the world, is pricing in at Hyatt’s lowest possible redemption rate: Category 1. To make things even better, remember you can earn elite night credits off award nights and cash + points reservations, and looking at a number of dates, both straight up award night and cash + points are available. Let’s take a look at the renderings provided by Hyatt and get a sneak peek at the Hyatt Regency Bali. Currently rates are around $225 a night. Or 5k a night. OR 2500 + $50. 5 cents per Hyatt point? That’s an incredible value. Remember, if you’re explorist, you can add on club upgrade certificates to cash, points, or cash + points reservations. 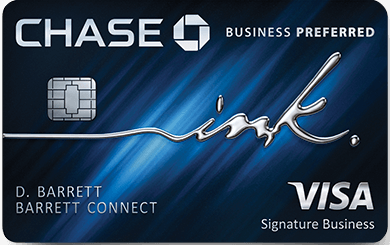 Remember also that Chase is offering an incredible deal on their World of Hyatt credit card. This is a card that is high on my list to pick up in the near term. The list of benefits are incredible, and if you’re a fan of Hyatt it’s well worth considering. I’m currently planning a trip to Bali. I was lucky enough to visit Bali last year on my Mom’s Around the World 75th birthday trip. I’m very excited to be headed back to Ubud, but also to a beach resort for a few days. While I stayed at the Conrad Nusa Dua last time around, I’d like to experience something different. I’m certainly entertaining the idea of staying at this property, and the value couldn’t be better. Needless to say, if you’re looking to take a trip to Bali after January 1st, the Hyatt Regency Bali should be high up on your list of stays. Here’s the review of where I stayed last year in Bali. I’ve tried many dates, and each one says “World of Hyatt Points & Awards not available”. Were you actually able to book? Did you have to call in? I can get the awards to pull up but fails on booking… debating whether to call in… really just very speculative. Thanks for the heads up. Definitely a great value for the points. While I am sure that it is a nice hotel, if you are paying cash and not using points, in Bali you can get a villa with your own pool, full breakfast, and tea time for the same price at many of the local boutique hotels. It looks really nice. The Grand Hyatt Bali is probably my favorite. Any idea what the Hyatt Regency’s neighborhood is like? What happened to my comment about this post? It was a polite comment and not even negative, but it is gone. What happened? Booked five nights in July on points! I’m going with a group and plan to meet my spouse for a short stay but we hadn’t picked a hotel. I’m Globalist so I was thinking Grand Hyatt but this is too good a value to pass up. 25k points for five nights and I’ll add a suite upgrade cert. Plus Globalists get club access. Easy choice. Miles, this is a great redemption if bookable! But my main question is this (after just reading your blog post on Conrad Bali from your stay last year); We are looking to visit Bali for a family trip–looking to stay for 5 nights–would you recommend booking this or the Conrad? Tigris – Well, I can’t really speak to this resort – it looks great, but having not been there I can’t really offer an honest comparison. The biggest reason I like this option is the low redemption rate on both normal rooms and club rooms, and it’s brand new, but beach, location – I haven’t been. Conrad Bali was great and seemed to have a lot of family oriented activities ( additionally – I would heavily consider picking up a Amex Hilton Aspire to get Diamond status if you choose to stay there – you’ll easily recoup the cost on a 5 night stay ) The Intercontinental looked really nice as well ( I like it cause it’s over on Jimbaran Bay which offers gorgeous sunsets and an easy walk to Jimbaran Bay Seafood which is a cool experience ). Thanks for the honest feedback and additional info on IHG…can’t complain on great options! I combined this with the amazingly affordable Hong Kong business class mistake fare. Less than $700 business class round trip and now a free 6 night stay for 30,000 points transferred from UR. That is an incredible value. Thank you! Called it in and booked 7 nights July 2019…. I booked the Regency Suite rate of 8000 points /night.. Needed a room for 2 Adults & 1 Child..
Find tranquility within this space of 54-78 sq m with a master bedroom, large en-suite bathroom, as well as living and dining area overlooking spectacular ocean and lush garden landscape. Regency Club Access is included. Will find a use for my Explorist Club Lounge access awards in city location…Amsterdam or Barcelona or .. now with 2020 expiry. Have never stayed in Sanur. JUly this year stayed at the new Indigo in Seminyak 4 nights, then to Intercontinental our go to hotel in Jimbaran, received a complimentary upgrade to renovated Duplex Suite for the week. Gold Ambassador paid with points. 90% hotel now renovated. Needed a room with space for 2 Adults & 1 Child.. Awesome Deal ! Will find a use for my Explorist Club Lounge access awards now with 2020 expiry in city location..Amsterdam, Barcelona or the new soon to open Unbound in Budapest ..
Have never stayed in Sanur. JUly this year stayed at the new Indigo in Seminyak 4 nights, then to Intercontinental our go to hotel in Jimbaran, received a complimentary upgrade to renovated Duplex Suite there for the week. Gold Ambassador paid with points. 90% hotel now renovated.